Witness: 'He pulled a handgun out' Jump to media player An eyewitness to an attack in Woolwich in which a man was killed has described seeing a man pulling out a handgun. 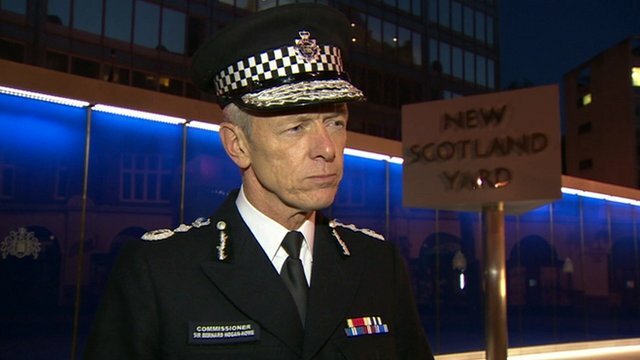 Met Police: 'People must remain calm' Jump to media player The Metropolitan Police Commissioner has confirmed that two men have been arrested after a man was killed in a machete attack in Woolwich, south-east London. 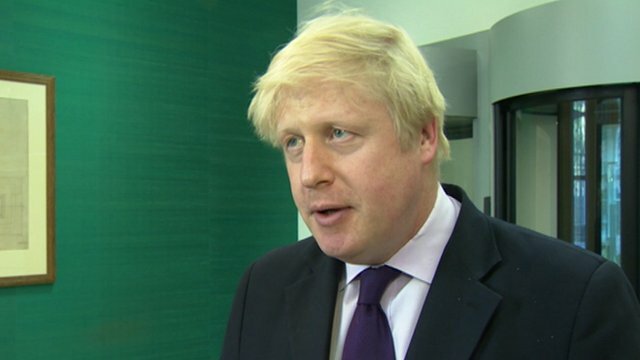 Mayor condemns 'sickening' attack Jump to media player The murder of a man in Woolwich, south-east London, is "overwhelmingly likely" to be a terrorist incident, the city's mayor has said. 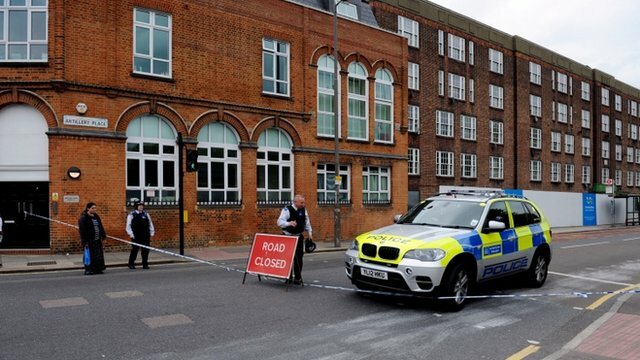 Head teacher: School 'locked down' Jump to media player A man has died and two are injured after police responded to a reported machete attack in south-east London. 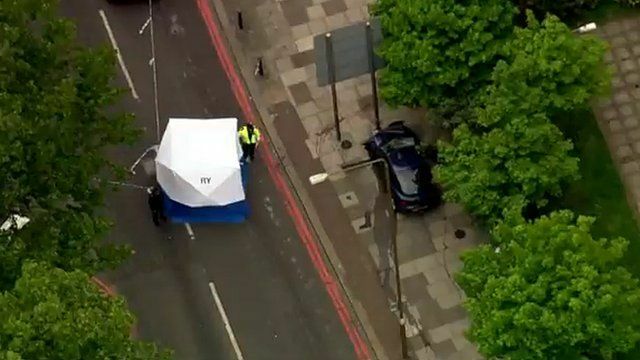 Woolwich victim 'was soldier' - MP Jump to media player A man killed in an attack in Woolwich was a serving soldier, according to the local MP. 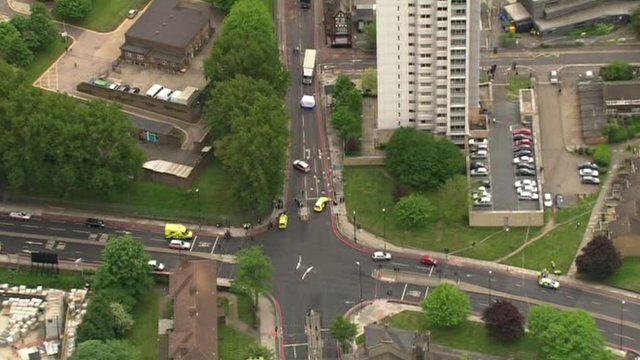 Aerial images of Woolwich incident Jump to media player A man has died and two are injured after police responded to a reported machete attack in south-east London. An eyewitness to an attack in Woolwich in which a man was killed has described seeing a man pulling out a handgun. 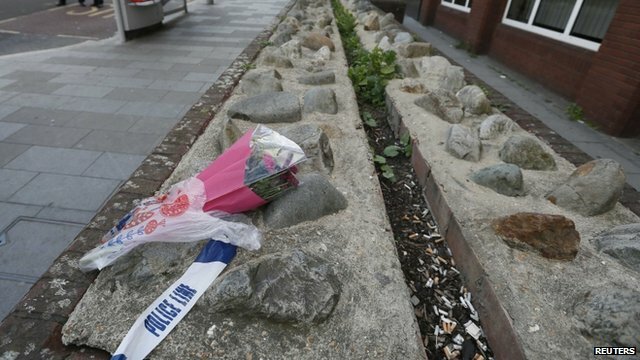 Graham Wilders, who lives locally, told BBC News that he initially thought there had been an accident and that two men were trying to resuscitate the victim. The government is reported to be treating the attack as a suspected terrorist incident and the prime minister said it was "truly shocking".